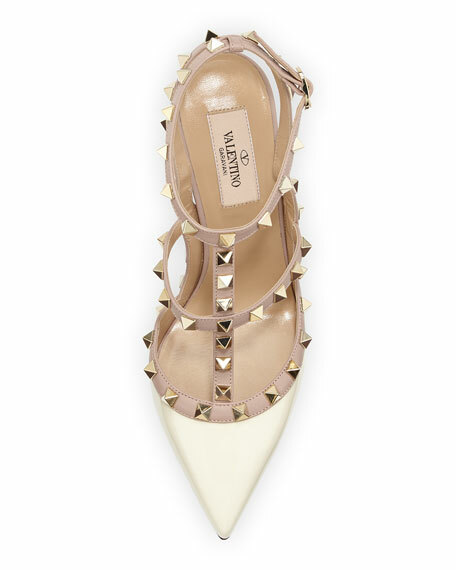 Valentino head designers Maria Grazia Chiuri and Pier Paolo Piccioli continue to rock the fashion world with studded styling, now with Noir studs. This sandal's juxtaposition between ladylike and modern is just righta surefire hit for both new and veteran Valentino fans. 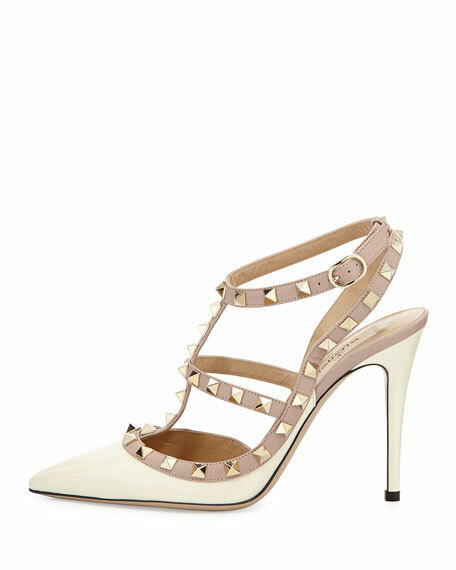 Glossy patent leather upper with contrast napa leather trim, straps and signature Valentino pyramid studs.